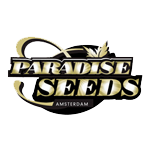 Paradise Seeds - Nebula. Free US delivery. Like the name suggests this plant is covered with twinkling shiny THC glands. Its flavour and scent, marvellously sweet is a delight to even the most experienced smoker. She is bound to get you into the realm of space. Her buzz is typically transcendental and it is known she takes you far beyond your grasp. When you want to join the worlds of nebula, she is waiting to give you universal depth.